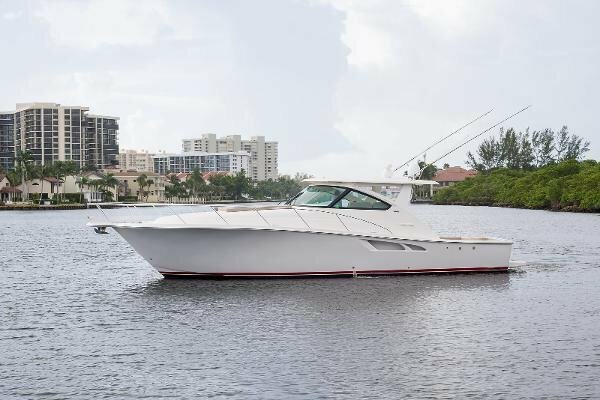 This 2017 43 Tiara is in like new condition, with only 200 hours on the twin Volvo D11 725 HP engines (Upgraded engine package), and warranty until Jan. 2022. She is turnkey ready for your next trip to the Bahamas or a day out with your friends and family. The 43 has been lift kept behind the owner's house since he bought it new - she's very easy to see. 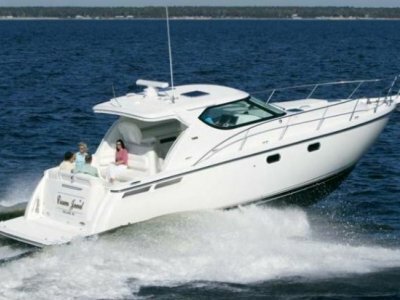 Whether you want to fish or cruise, this boat is set up perfectly for either. 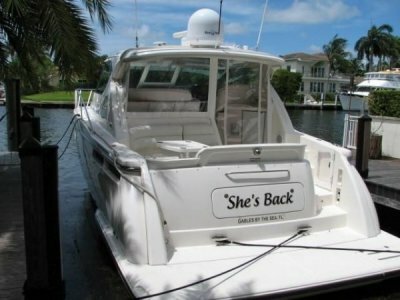 She has joystick power and a bow thruster to make docking nice and simple. But since the 43 is also Direct Drive, you won't have to do any maintenance on any pods. In addition, she has a full enclosure that is not pictured, so no matter the weather, you're protected. The 43 is located in Boca Raton, FL. Call anytime for a showing.